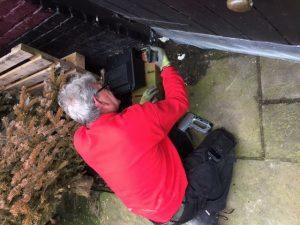 Total Pest Control Salisbury can offer you professional pest control in Salisbury, and Wiltshire. We can offer you a visit from a trained technician or surveyor, local to Salisbury. We also have an office in nearby Hampshire. This makes us suited to solve your pest control problem. Salisbury’s mix of rural and urban areas does provide ideal harbourage for pests. This is not helped by the rivers in Saisbury providing a water source and shelter for rodents to live and breed. They can feed off litter or any discarded food they find and if overlooked, a serious problem could develop. Our rodent treatment programme will eradicate your current issue. As we do with all our treatments, we also offer advice to help prevent them returning in the future. This can include hygiene, house-keeping, and proofing recommendations. We also have many years experience in providing pest control in Salisbury to commercial outlets. These include: offices, restaurants, residential homes, schools, hotels, take-away shops, and many more.